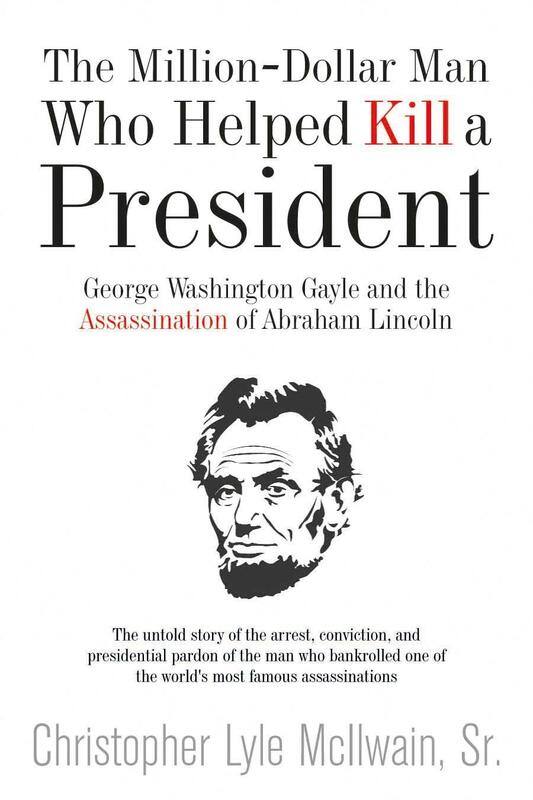 "The Million-Dollar Man Who Helped Kill a President" By: Christopher McIlwain Sr. Author: Christopher Lyle McIlwain, Sr.
Chris McIlwain has been practicing law in Tuscaloosa for over thirty years—in the daytime—and researching nineteenth-century Alabama history evenings and weekends. The result of this prodigious effort has been, so far, “Civil War Alabama,” then “1865 Alabama: From Civil War to Uncivil Peace” and now “The Million-Dollar Man Who Helped Kill a President” which makes a trilogy, although there may be more books to come. The “million-dollar man” of the title was George Washington Gayle, one of the most radical secessionist fire-eaters, an early and vigorous advocate of slavery and states’ rights. One million then would be 20 million today. The ad also announced this would demonstrate that “cruel tyrants cannot live in a land of liberty.” This ad was reprinted in newspapers all over the South, in the north, and even overseas. As McIlwain explains, there were, during the Civil War, several plots to kill Lincoln, by pistol shot or grenade-like bomb, but they all failed and were directed at Lincoln alone. John Wilkes Booth, however, was part of a gang that, on the same day, meant to kill Lincoln, Seward and Johnson. Seward was in fact attacked, stabbed repeatedly. The man assigned to kill Johnson did not follow through. In the weeks before the assassination, Booth had bragged he would soon be very rich. And he shouted, at Ford’s Theatre, “sic semper tyrannis,” an echo of Gayle’s ad. Readers will notice, although McIlwain never says it explicitly, that this may constitute a very early form of crowd-funding, albeit for a nefarious purpose. McIlwain admits the connection between Gayle and Booth cannot be absolutely proven. But Gayle, like many Southern politicians, generals, and never say die-ers, was arrested, but his trial kept being postponed. Booth was shot while escaping, and his fellow conspirators were tried and hanged quickly without proper interrogation which might have linked them to Gayle. In certain cases, it seems, justice delayed is good for the defendant. He contemplated a plea of temporary insanity. He denied placing the ad. My favorite: He was just kidding. He collected signatures from Masonic Lodge brothers and fellow Confederate office holders, judges and lawyers, attesting to his good character. Why these letters, obviously not objective, were effective is a mystery. Finally, in an outrageous and disgraceful move, President Andrew Johnson pardoned Gayle, who died in 1875 at the age of 68.